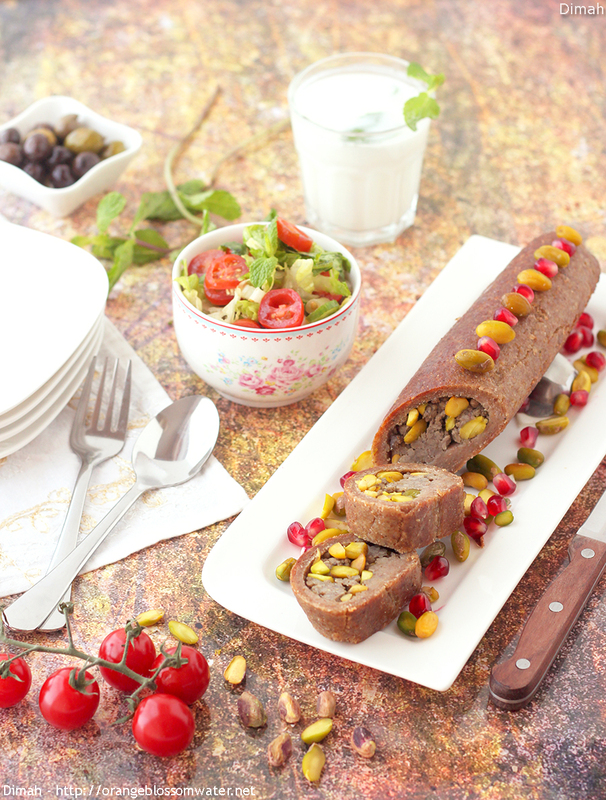 Kibbeh Eswaret As-Set (Lady Bracelet), an authentic Aleppine dish. 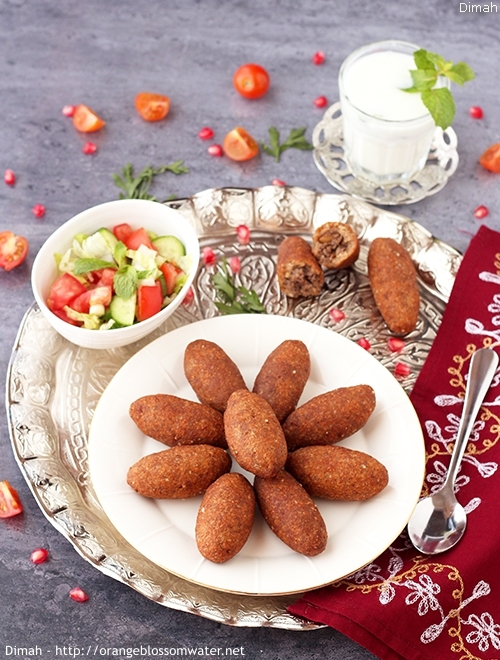 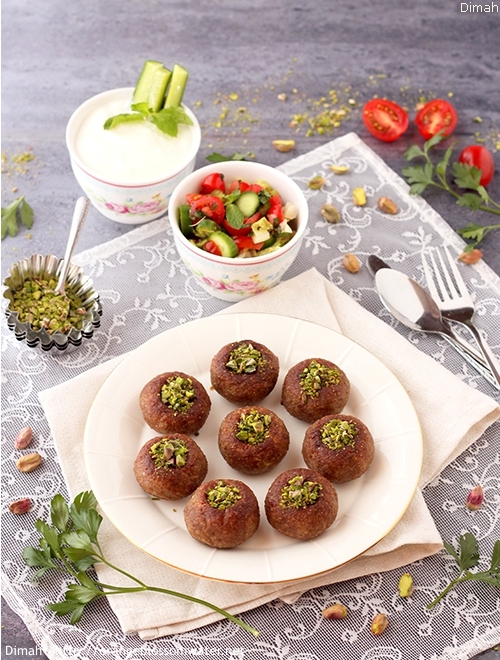 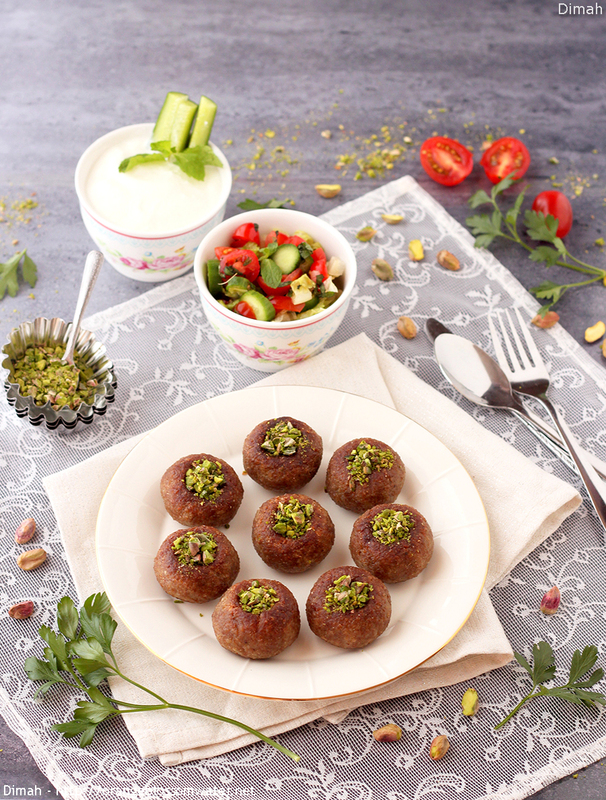 It is kibbeh dough stuffed with a mixture of ground meat and nuts, then shaped into balls and baked in the oven. 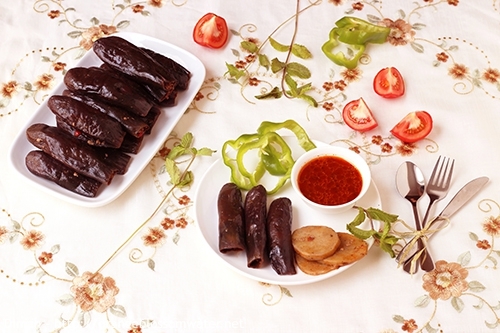 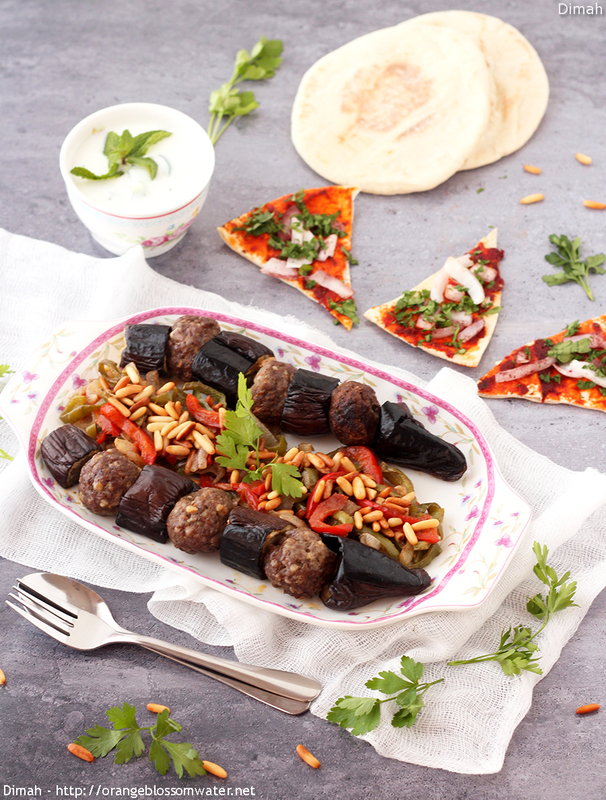 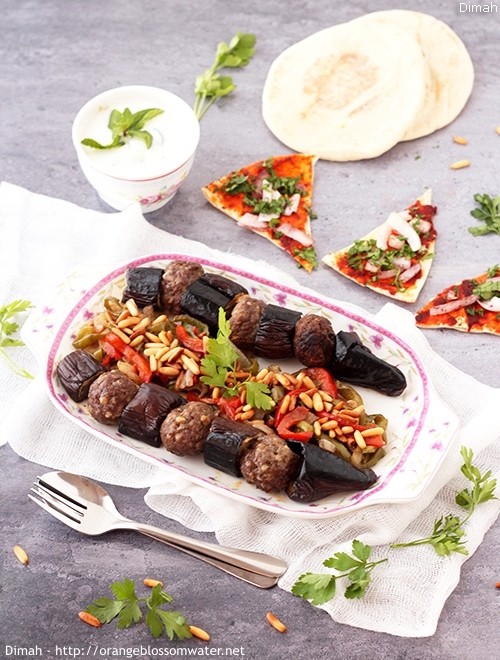 Kabab Bathenjan (Eggplant Kabab) is Aleppine dish that consists of grilled lamb meatball and grilled eggplants, served with a mixture of sauteed onion and peppers.